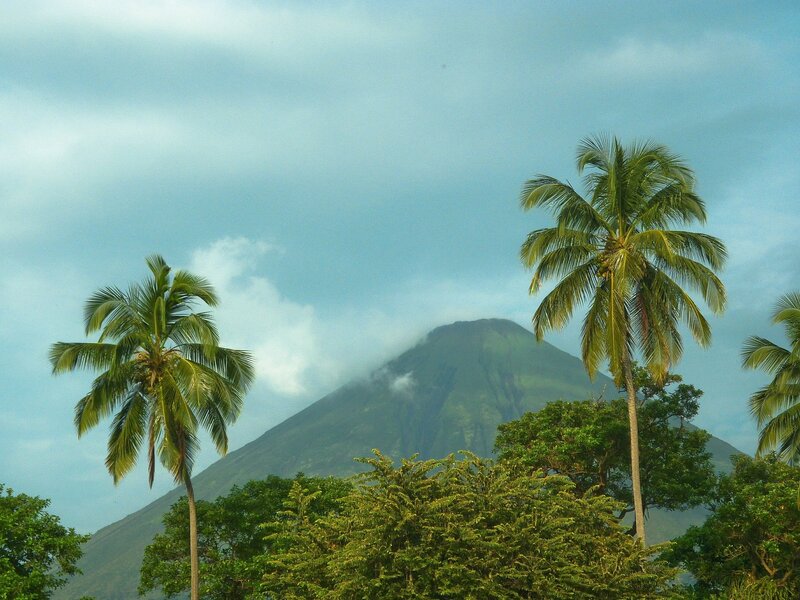 This is Nicaragua – Land of lakes, land of volcanoes, land of a diverse wild life, land of.. But let’s be honest: We all are looking for the ‘Land of great Waves’. And here we are. Allow us to introduce Nicaragua where you find amazing and most of all uncrowded surf spots. The country is still lacking of the big surf tourism that afflicted most of the surf paradises on earth by now, so don’t hesitate! Go there before the world’s surf travellers realize what they’re missing out. Just read through the Planet Surfcamps Nicaragua guide before you book your flight and you’re good to go. Surfing in Nicaragua – The Different RegionsSurf SpotsTravelling to and around NicaraguaThe History of Surfing in NicaraguaSurf Events in NicaraguaCulture in NicaraguaWeather, Climate and Water TemperatureFood in NicaraguaTop 10 Highlights in NicaraguaWhy Nicaragua with Planet Surfcamps? Nicaragua only really has one distinctive surf region – the Southwest part of the country, where there’s a thin slice of land separating the ocean and Lake Nicaragua. This huge lake produces an offshore wind during most of the year, which creates the perfect surfing conditions all along the coastline. Nicaragua enjoys a long swell season and a super favourable offshore wind. Even though it’s not very crowded at all, the nation is quickly developing as a surf region. A problem in Nicaragua is that most surf spots are hard to access both due to the fact that the breaks occur far out and because the infrastructure is not yet properly developed. Casares offers nice peaks breaking over a submerged reef, but fortunately the beach is perfectly soft and sandy. It works well on all tides and it favours a S-SW swell with a NE winds. In these conditions Casares will impress with waves up to 10ft high, but mostly they’re only 3-5ft tall and very user-friendly. The locals have been described as super friendly and helpful as well, which makes this small fishing village a pretty perfect spot to surf and then roam around. This feisty long left is amazing only during a mid to high tide and a pretty big swell, otherwise the sandy bottom turns into a dangerous rocky zone out to shred your feet. Sally Ann’s point break produces a wave of 4 to 10ft and favours a S-SW swell and an SE wind. Surfing this spot requires a bit of expertise, or at least a bit of research, but the long ride is always worth the trouble in the end. Probably the most famous surf spot in Nicaragua, but it’s important to realise that this break is home to 2 very different waves, kind of like the wife and the mistress. The wife is the sweet but predictable reef and sand break that forms symmetrical and reliable peaks of up to 10ft, very friendly and charming. It works best at a lower tide and can easily host large crowds. The mistress though, she is hard to access, as the break occurs about 400m offshore. From afar she looks exotic and alluring, but up close she looks dangerous and huge. This wave breaks over really shallow rocks and over strong currents. It easily reaches 20ft in height and often forms bloodthirsty barrels. But if you’re a wild cat and have 9 lives, go for it! Best conditions for Popoyo are during a S-SW swell and an NE wind. Just an hour South from the capital city Managua, relatively easily accessible. It’s popular with tourists, domestic and international, but not many of them surf, which is a shame but it also means Pochomil is pretty secluded. This peaky wave is suitable for beginners as it forms a steady A-frame over a deeply submerged reef and finishes on a soft sandy beach. Favourable conditions for this spot are: all sides and a S-SW swell. El Astillero has been known to produce strong, punching lefts that last and last for what seems like forever. The reef-break forms waves up to 15ft high on a good day with a S-SW swell and NE wind, but smaller consistent waves occur at any tide. This moody wave will only cooperate with surfers during very specific conditions. It requires a big S-SW swell, a low tide and either no wind at all or the most gentle of NE winds. If everything is as said, you’ll find plenty of fun 3-8ft right-handers breaking over a submerged reef. This peaky beach break is quite the famous spot around the San Juan del Sur area because of its super consistent waves that are best when they hollow out during a S-SW swell. Playa Maderas is becoming increasingly popular with surfers and in 2002 it hosted its first international competition. This spot is a reliable beach break that forms symmetrical peaks of 2-6ft right onto the sandy beach. It works well on all tides, on a S-SW swell and NE winds. Tamarind is a spot where, under the right circumstances, more experienced surfers will find good barrels of about 6ft. These, however, require a small S-SW swell and NE wind. Otherwise, feel free to enjoy the quick right-hand point breaks during all tides, but these waves can be pretty messy. The weather in Nicaragua is always hot and tourist-ready. The dry season, from November to April, offers sunnier days and little or no rain, but the swells are less consistent. During the rainy season the prices are lower and the island is breathtakingly green. The thrill chasers are welcome to visit around March through November when the waves reach a staggering 6m height in some spots. 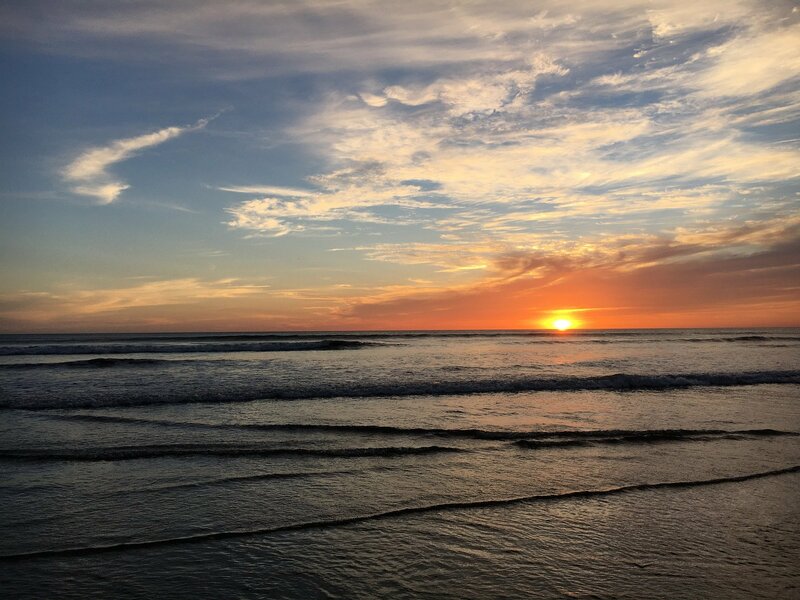 Otherwise, the waves are much more friendly during the rest of the year making it the perfect place for beginners or those who just want a calm, reliable surf. If you’re interested in soaking up the culture as well as the salty water, you may want to keep in mind the cultural events that take place in Nicargua when booking a date for your travels. For the horse lovers amongst you, from 5th to 9th January Granada city hosts the Caballo Español Pura Sangre Fair, during which horse owners showcase their most beautiful animals. It’s a huge international event that attracts even those tourists that know nothing about horses. Around March 24th is also a great time to come and enjoy the Joy for Life Carnival in Managua. At this time of the year you can join the Nicaraguan people in their fiesta on the streets of the capital. If you wish to travel by air, there is only one international airport in Managua. There are more airports like Augusto C. Sandino International Airport, Puerto Cabezas Airport, Bluefields Airport, Chinandega Airport, Corn Island Airport or San Carlos Airport, but most planes land in Managua. Every visitor has to pay a 10 USD entry fee into the country upon arrival. Within the island, it’s really cheap to travel by bus, only about 0.25 USD, but keep in mind that the buses are way overcrowded and pickpocketing is an everyday problem. An alternative to buses are intercity coaches and taxis, which are a bit more expensive (2-6 USD per short trip,) but they are way safer. Surfing in Nicaragua isn’t very popular yet, it’s a pretty young sport considering it’s only about two decades old. Nicaraguan immigrants discovered surfing in Florida and after the establishment of democracy in their home country, they returned and spread the surfing tradition around their own beautiful beaches. Nica’s most famous surfing spot, Popoyo, was discovered by a local surfer during a helicopter ride to Costa Rica. He saw the wave and decided to set up camp right there in front of it, on the beach. What an example! After that more travellers briefly surfed the Nicaraguan coast, but their visits weren’t usually long because of the ongoing revolution in Nica (1962 – 1990.) Shortly after the end of the civil war, many Nicaraguan immigrants returned from Florida back home, where they shared the surfing tradition with other locals. Beside that, the government thought it would do the country’s economy wonders to promote Nicaragua as a surfing destination internationally, and rightfully so. During the last two decades the surfing community on Nicaragua’s Pacific coast has grown massively, but it’s still empty in comparison to Costa Rica. But in terms of conditions, Nicaragua sits between the Pacific and the Atlantic, so it’s bound to have some good waves and become better known as a surf destination in the coming years. There’s not many surf-related events happening in Nicaragua as of yet, but every November it hosts the Latin American Surfing Competition (Playa Madera, San Juan del Sur). Contestants from Central and South America take part in this weeklong event and enjoy the consistent waves that Maderas has to offer. 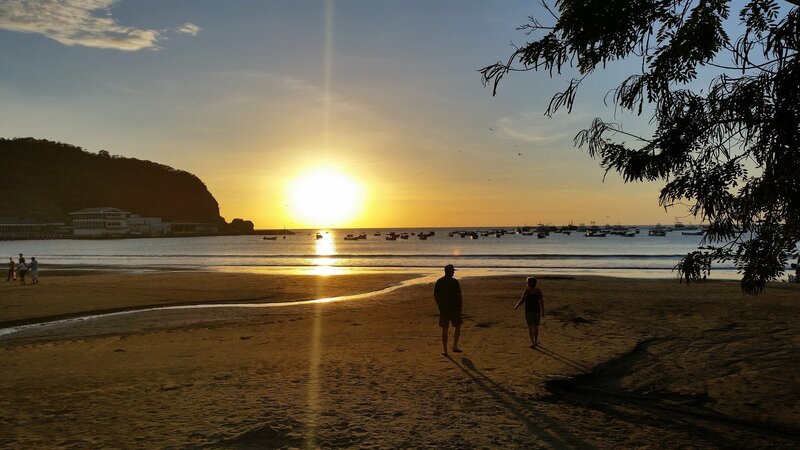 Locals in Nicaragua don’t usually speak English unless they work in the tourism industry, so knowing a word or two in Spanish may help you heaps. In the water you will mainly encounter visitors as the locals are only just starting to get into surfing. There are however increasing amounts of small board shops and rentals in people’s back yards and garages. If you’re lucky you’ll even find a good surf guide that will take you to the best of waves. In terms of safety, people travel Nicaragua without incidents all the time. Many practice couch surfing and are really happy with their experiences, they say locals are welcoming and like hosting big dinners for starving surfers. Having said this, it is recommended to keep a close eye on your belongings and get a good travel insurance, just in case. 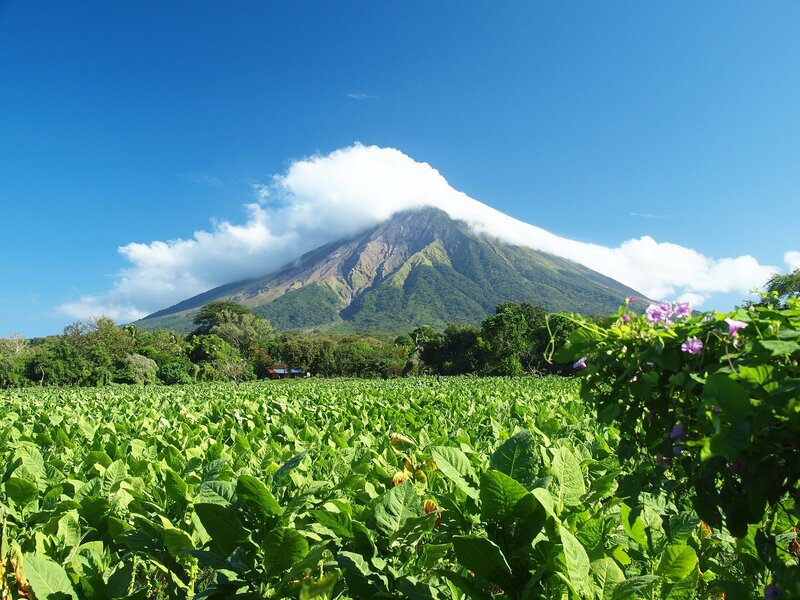 Because of Nicaragua’s specific climate, you may also need to consider consulting a doctor about the kind of vaccines or protection you will need. Malaria is quite widely spread in Nica, so be sure to get good bug repellent and sleep under a mosquito net. If your stay will last longer than 3 months, you’ll also likely need a hep A and B, rabies and typhoid shot. Another issue is water availability. While this problem is nonexistent in the wet season, temporary water shortages can occur during the dry season and it may just be the case that there will be no water in taps for a couple of hours daily. Be careful with tap water as well, it’s richer in chlorine than in most countries and it’s not necessarily safe to drink. There is bottled water available in pretty much every little corner of Nicaragua and it’s pretty cheap as well. Nicaragua, otherwise called “the land of lakes and volcanoes,” is located in Central America just South of Honduras and North of Costa Rica. It’s bordered by the Pacific Ocean and the Caribbean Sea on the Eastern and Western coast respectively. The country is one of Spain’s many old colonies in Central and South America, hence the official language is Spanish. Contrary to many colonial countries, Nicaragua actually received its name after the leader of the dominant indigenous tribe, Nicarao, and not after its conquistador. 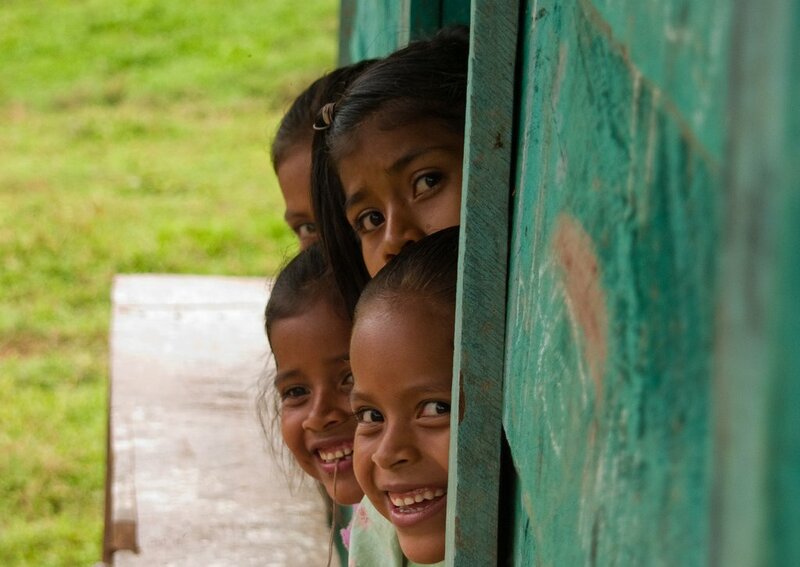 Nica is home to around 6 million people and to say they’re multi-ethnic would be an understatement. There are still many indigenous tribes from Mosquito Coast, but there are also descendants of European settlers as well as Africans, Asians and an increasing amount of Northern Americans. Because of its Spanish roots, Nicaragua is quite a traditional Christian country that still to this day practices many religious festivities and rituals. The country’s motto, “In God we trust,” sums it up pretty well. This part of Nica’s culture is just as fascinating and beautiful as it is alarming, because religion has a tendency to influence the country’s laws. For example, it’s one of only 5 countries in the whole wide world where abortions aren’t allowed under any circumstances. Not that this will affect you if you’re just going there for a surf trip, but it’s a fun fact. 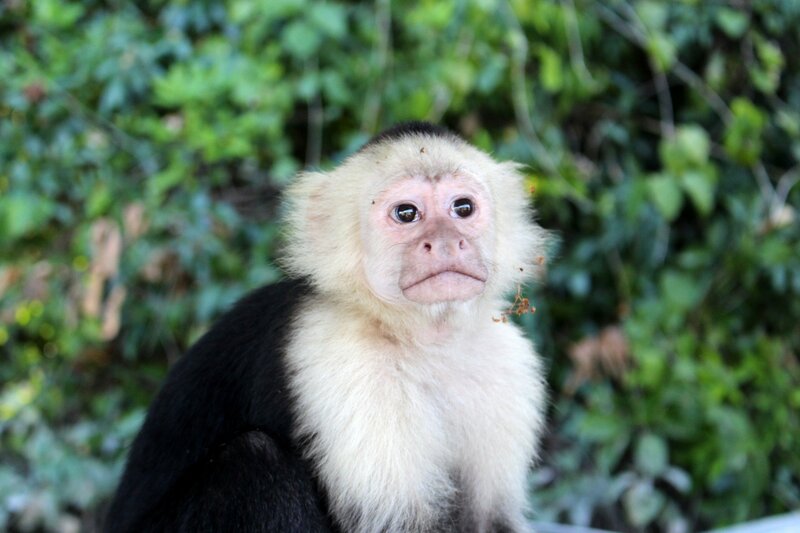 Another special thing about Nicaragua is its amazing and vibrant fauna. In the Cayos Miskitos Biological Reserve you will find more exotic animals than you can think of: toucans, jaguars, boars, manatees, sea turtles, boas, monkeys, sloths and all the colourful fish you can imagine down in the coral reefs on the Caribbean coast. In terms of sports, surfing isn’t that popular on the Nicaraguan beaches yet. There’s estimated to be around 150 regular surfers, but more and more surf tourists are discovering the 25 main surf spots on the Pacific coast. The national sport is actually baseball, a little something the country picked up from their American neighbors. Boxing and horse riding are two other very popular activities that attract international attention. 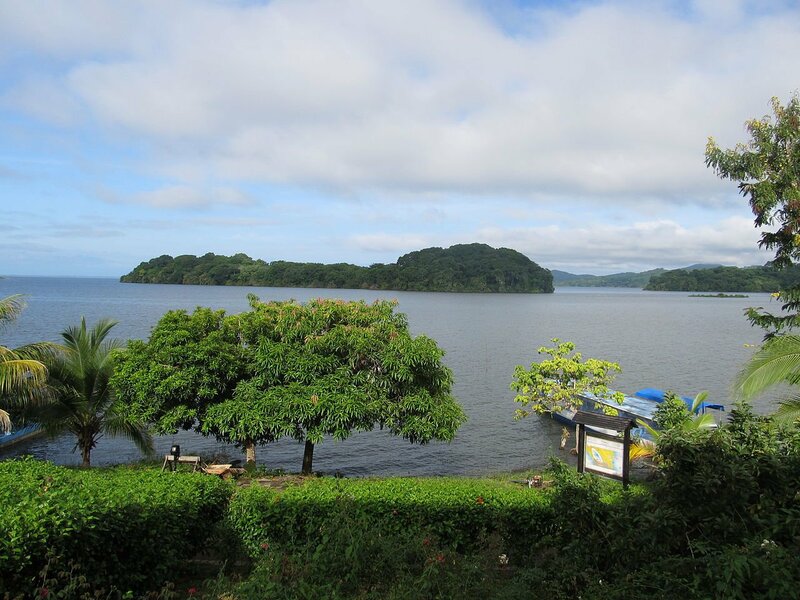 The climate in Nicaragua is a tropical one with two distinctive seasons – wet and dry. During the dry season the days are sunnier, there is virtually no rainfall, which in turns means that plants start to dry out and water shortages are possible. The hot temperatures mean there’s less insects and the roads are dry and more easily accessible. This is the season when most tourists come, as it’s also the time with the lowest risk of natural disasters. When the rainy season starts, the nature is transformed. Everything becomes lush, green and alive, including the insects and bugs! It usually rains almost every day, more on the Eastern coast than the Western. But these tropical downpours are as intense as they are short, so they won’t destroy your whole day. Beware though, because the tropical storms can cause roads to flood or trees to fall on them, so you may want to stick close to home during those days. By the coasts, temperatures vary between 22° C and 30° C, but in the warmest of months it’s possible to encounter 38° C heat. In the central and Northern part of the country the temperatures are about 5° C lower due to the mountainous terrain. The average sea temperature in Nicaragua is very warm. In winter, it’s around 27 degrees and in summer temperature goes up to 30 degrees. You won’t need a wetsuit but sunblock is absolutely necessary. Nicaraguan food is almost as multi-ethnic as the people themselves. The typical recipes are a mix of traditional indigenous foods, Spanish cuisine but are also influenced by Creole cuisine. There’s a visible distinction between the Pacific coast’s menus and the Caribbean ones. On the Pacific coast most meals are based around local fresh fruit, which the country is famous for, and corn. While on the Caribbean coast, coconuts and seafood are the stars of most meals. Other products Nicaragua is famous for are great quality beef and lamb (pelibuey) and coffee. If you want to eat on a budget, be sure to visit fritangas, local street food stalls all around the country. You’ll definitely find something cheap and tasty in one of these – they offer fruit and veggie meals as well as barbecued meats. 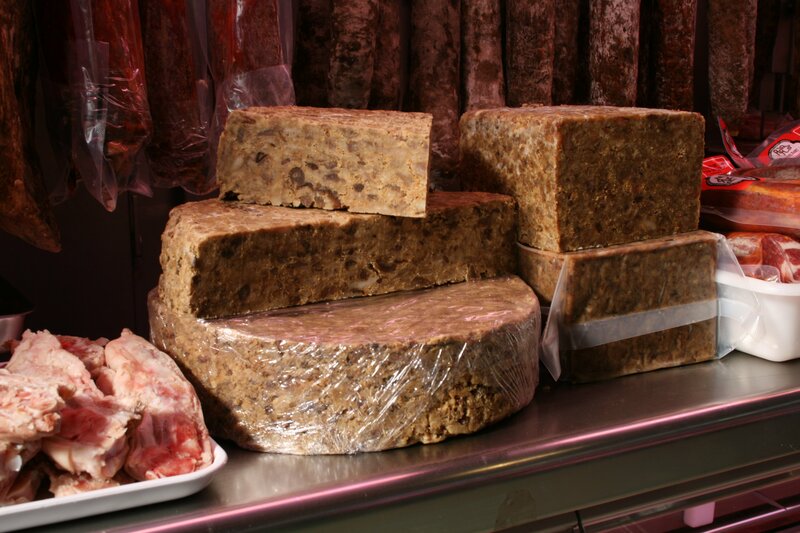 Here are some of the traditional meals that may find in fritangas or local restaurants. 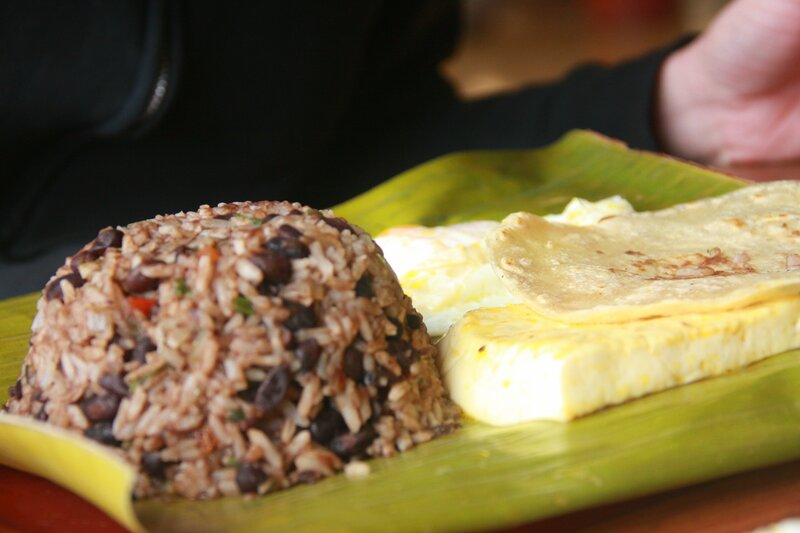 Gallo Pinto – A mix of rice and beans that is eaten pretty much with everything. It’s the most popular thing to eat in Nicaragua and you will find this everywhere and for a really low price as well. Nacatamal – Little corn dumplings that resemble pillows in shape. 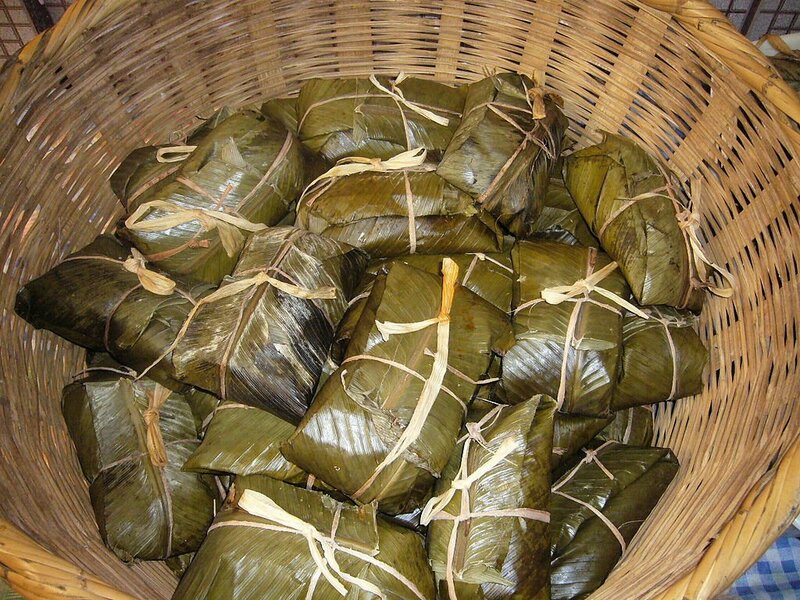 They’re filled with pork, tomatoes, onions, peppers and rice, wrapped in plantain leaves and then boiled for five hours. Vigorón – A typical Granadian meal consisting of yucca, chicharrón and cabbage and tomato salad all on a plantain leaf. Indio Viejo – A kind of stew that is prepared with meat, garlic, onions, peppers and tomatoes. It is later mixed woth ground tortillas, orange juice and broth. Quesillo – A quick and easy snack consisting of a piece of quesillo cheese wrapped inside a tortilla with onions and vinegar and topped with a lot of fresh cream and salt. Arroz-con-Piña – A classic drink made by boiling rice and pineapple until soft. The fruit and rice is then blended and cooled with water. The solid parts are removed and the liquid is mixed with vanilla, strawberries and sugar. Chicha de Maíz – This drink is basically just corn and sugar water. It takes a while to prepare because the corn needs a whole night to soften up Next morning it’s boiled adding red colorant and sugar. After it cools down a candy called “dulce” and more sugar is added. 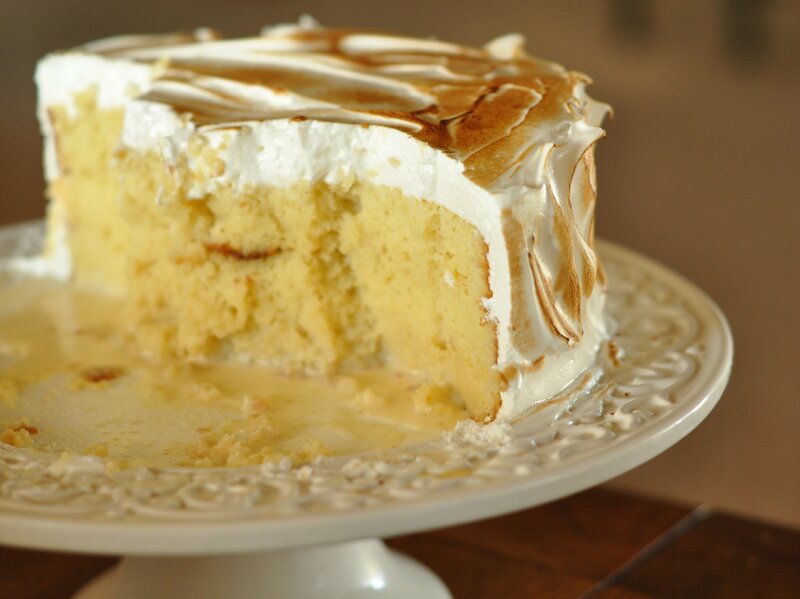 Tres Leches – Tres Leches, meaning “three milks,” is precisely that. It’s a deliciously sweet dessert made with milk, condensed milk and cream placed on a simple egg and flour cake. All this sweetness is then topped with meringue. Chicharrones – Deep-fried pork bits. This extremely simple snack is served on tortillas with a big lump of guacamole. For more appetizing check out Vianica! An activity for the most daring amongst you. 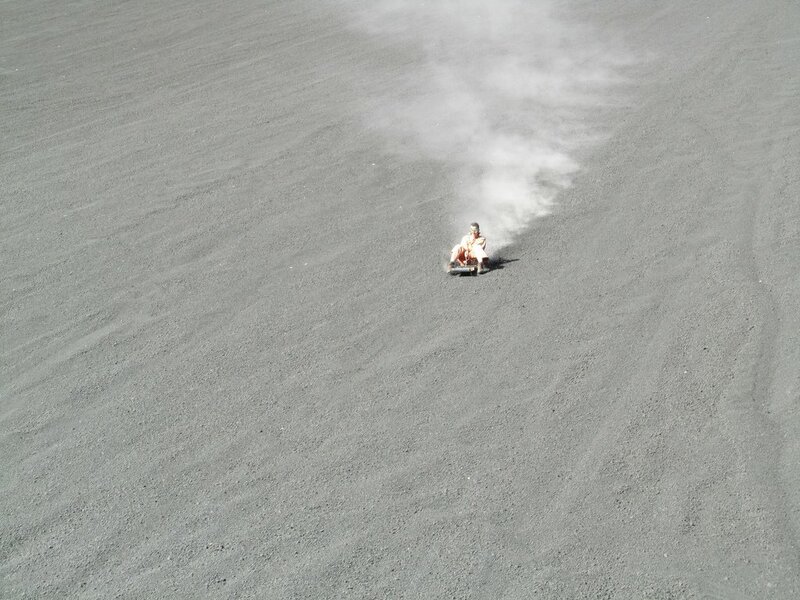 You make your way up this active volcano just outside Malpaisillo with a board and then glide down the gravel slopes. It sounds unreal, but we promise, it’s a popular thing! If you have a couple of days to spare while in Nica, we recommend stopping by the spectacular Corn Islands. They’re located on the Northern Caribbean coast and are quite a popular luxury holiday retreat. It’s a secluded spot, where people come to chill, fish and scuba dive mostly. León Viejo got its name from the Spanish city, León, in 1524. It’s now a UNESCO World Heritage Site famous for its cultural heritage. The city is full of museums and glorious old Spanish buildings and it houses the intellectual centre of the country – the National University. Described by many as the highlight of the touristy part of their trip. 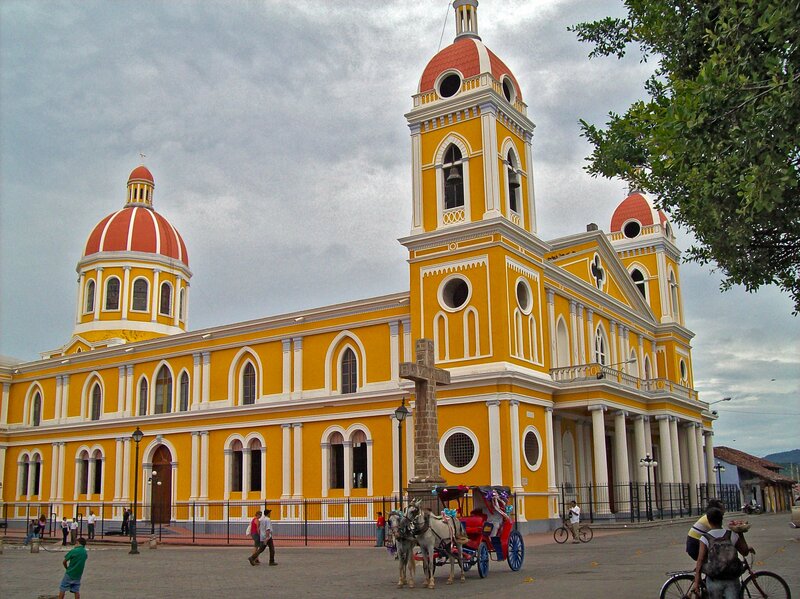 Many tourists advise to skip the capital, Managua, and just head straight to Granada. There’s gorgeous traditional Spanish architecture from the 16th century and all the houses are charming and colourful. Definitely worth just roaming around. Funny story, nobody knows how this man got famous, but somehow, with no advertisement of his art at all, people randomly started dropping by to check out his creations. Alberto claims that angels told him carving animals onto stone walls will cure his alcoholism, so he started carving whenever he needed a drink. His walls are full. Now, if you find him, apparently he’ll gladly receive you in his home, treat you to some fruit and share his work with you. The catch is he speaks no English, so either try Spanish or some sort of charade-style hand gestures and you’ll be fine. Enjoy a very scenic trip in and around the tiny island chain close to Granada. The nature there is mesmerising and a little two-hour excursion will leave you more relaxed than after a Thai massage. Well, maybe almost as relaxed as after a Thai massage. Visit this huge body of freshwater and thank it for the constant offshore winds that it produces. 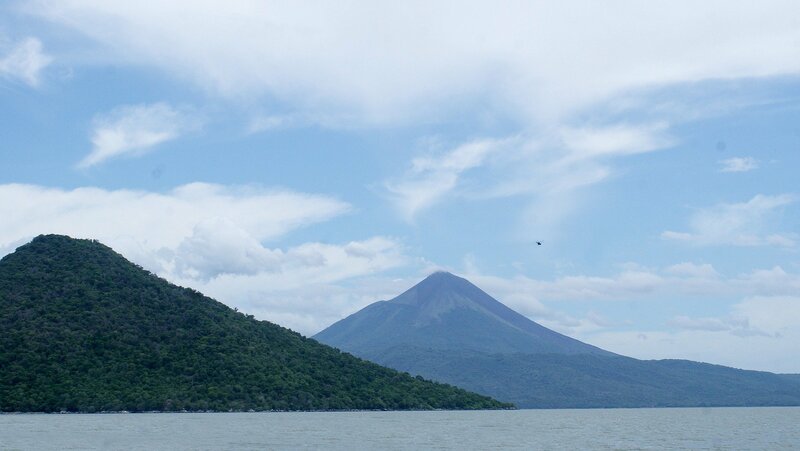 The lake is absolutely huge, 7 km across and 161km long, and it has an island, Ometepe, in the middle that you can swim to. It’s like an oasis for a healthy day, there are heaps of sports you can do, like kayaking and hiking, but it’s also famous for its healthy food. A beautiful national park featuring a gorgeous forest that you can hike around, rivers, waterfalls and little farms that offer to teach you local farming techniques for a very small fee. It’s not crowded at all and allows you to really feel like you’re exploring a jungle by yourself. 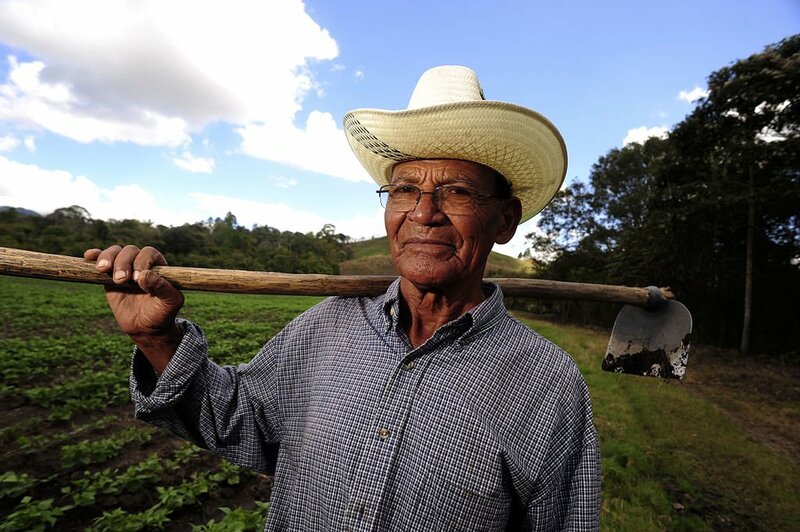 It’s situated in Northern Nicaragua in the Esteli region. 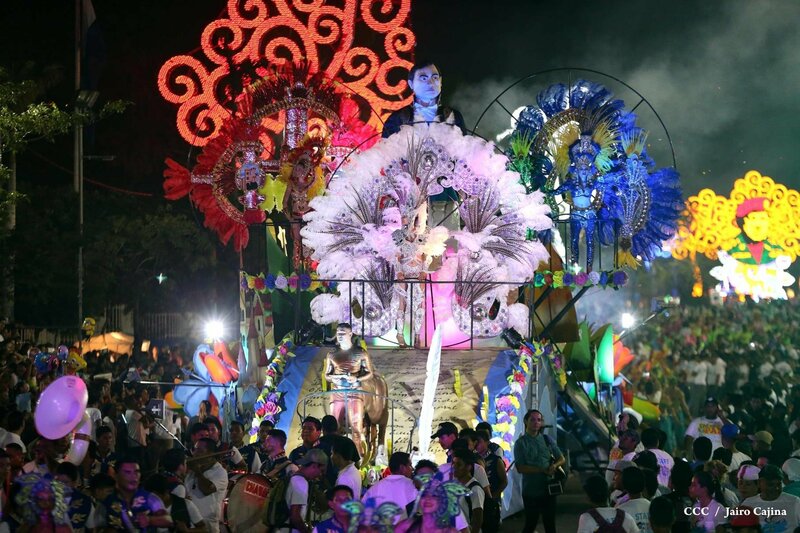 There’s probably no better way to immerse yourself in the local culture than by visiting Diriamba in the end of January (17th to 27th) where every single year the citizens celebrate their patron saint, San Sebastián. Join the multicoloured parades, the traditional music and dances and enjoy the local food! It’s as simple as that, you can’t leave Nica without experiencing the best wave in the country. This reef-break is not famous all over the world without reason, it would be a shame to let the crowds freak you out and skip it. Stop by and enjoy the best of what Nicaragua has to offer! Check out more travel tips with Nomadic Matt! Why Nicaragua with Planet Surfcamps? Nicaragua still has that “hush hush” vibe about it, because not many people know it as a surf destination. Relatively few people know the amazing papagayo wind that creates reliable surfing conditions pretty much all year round and this has one main advantage: it’s one of the few really consistent surf regions that is still uncrowded. The waves are predictable and perfect for learners, but they’re much less crowded than their neighbours, Costa Rica, and way safer than El Salvador. 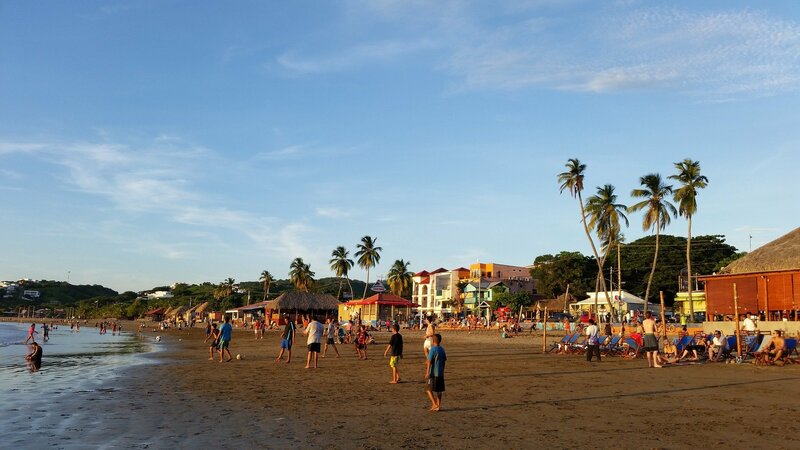 The favorable natural conditions that Nicaragua has to offer along with its cheap lodging, food and beer prices make it an attractive spot to set up camp. If you feel like roaming around on your own and just attending some surf lessons, Planet Surf Camps will make it happen! But if an all-inclusive surf holiday is what you’re looking for then Planet Surf Camps is ready for that as well. Nica is bound to blow up as a surf destination soon, but for now it’s still the “our little secret” kind of place amongst surfers, and we want to share that little secret with you. 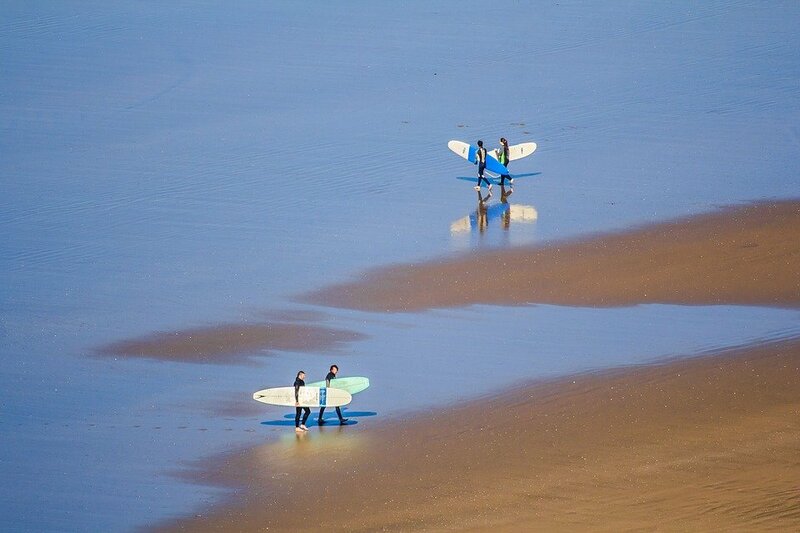 Great surf, warm weather, incredible nature, tasty food and fascinating traditional culture. What else could you ask for?